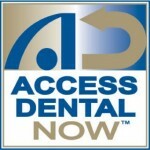 Access Dental Now™ makes high-quality dental care affordable. We believe that everyone should be able to enjoy exceptional dental care at a terrific price, regardless of whether you have insurance or not. A host of high-quality dental services, from regular cleanings to cosmetic procedures, is now more affordable than ever with Access Dental Now™, Choice One Dental Care®’s signature membership program. Individual plans are a low $99 a year. Married Couple plans make dental care affordable at $169 a year. Group dental plans are ideal for associations, businesses or other types of organizations. Employers can also provide Access Dental Now™ as an attractive part of their benefits packages. Family dental plans are just $199 annually, for up to 5 members of your family. Senior dental plans, available for those 59 and better, allow participants to enjoy quality dental care at the low rate of $79 annually or $139 for a married couple. Q: How soon can I use the plan? Right away! Access Dental Now™ members can enjoy the benefit of using their plans immediately with any of our Choice One Dental Care® Providers. That means you can use it the same day you sign up. You can even wait until after your appointment to sign up and save right away! Q: How much can I save using the plan? Though patients usually save 30% on average, your practice representative can provide details about how much you would likely save with Access Dental Now™. Q: How long does it take to sign up? Signing up is quick and easy. It only takes a few minutes to become a member. You just need to provide some essential information along with payment to start your membership. Q: When will I get a membership card? A few days after signing up you will receive your welcome kit in the mail. This kit contains your individual Access Dental Now™ membership card along with important information about oral health and enhancing your smile. Q: What should I expect at my first appointment? With your membership you’ll get a complimentary comprehensive exam, a set of X-rays, a visual, oral cancer screening, and a full mouth periodontal probing. Experience affordable, high-quality dental care with Access Dental Now™. Contact us today to schedule an appointment!